Following a further review of our policy regarding vaccinations, British Eventing has implemented an updated vaccination policy across all BE fixtures. The changes to vaccination requirements will be effective from 1 March 2019 until further notice, it will be continually monitored and reviewed based on the current Equine Flu status and advice from industry experts, including veterinarians. The new vaccination policy will be enforced at all BE fixtures and is effective from 1 March to ensure that organisers, officials, riders, owners or person responsible, have a clear set of rules to follow without variation between venues and events. We thank all members for their cooperation with the new rules and remind all competitors to please make sure that all horses’ passports are available for checking when collecting numbers. We would also draw your attention to Rule 10.2.4. No relevant injection may have been given on the day of competition. This means that injections can be given in the week running up to an event and therefore a seven day window is not necessary under BE rules. Must be produced on request at any other time during the Event. Failure to comply with these requirements is a breach of this Rule and the Horse will not be allowed to compete. The most recent booster injection must have been given within the six calendar months prior to the horse arriving at the competition. 10.2.3 The Record of Vaccination(s) in the Horse’s passport must be completed by the appropriate veterinary surgeon (who is neither the Owner nor the Competitor of the Horse) in which the record of injection(s) is completed, signed and stamped line by line. 10.2.4 No relevant injection may have been given on the day of competition. 10.5.1 All horses must be sound. 10.5.2 All horses must be free from clinical signs of contagions or infectious disease. Where appropriate, in the case of Equine Influenza, strangles or neurological EHV1 outbreaks, BE, acting throughout in reliance on veterinary advice, may prevent potentially exposed horses from competing at any BE Event. Members are strongly advised to follow the Horserace Levy Board (HBLB) Codes of Practice on Equine Diseases (www.hblb.org.uk/codes.htm) with particular regard to controlling the spread of disease. Following a further review of our policy regarding vaccinations, British Eventing is implementing an updated vaccination policy across all BE fixtures. The new vaccination policy will be enforced at all BE fixtures and will be effective from 1 March to ensure that organisers, officials, riders, owners or person responsible, have a clear set of rules to follow without variation between venues and events. The most recent booster injection must have been given within the six calendar months prior to the horse arriving at the arriving at the competition. Forgotten passport. Any horse without a passport will be sent home (plus travel companions). Unvaccinated companion horse. Passports and vaccination records in accordance with the new rules must be carried for all horses on board any vehicle. Any horses without passports and compliant vaccination records will be asked to leave the site, along with any others which they may have travelled with. Only primary course given. This is fine, as long as the horse has had the first two injections that make up the primary course, and the second injection was given within the last six months. Primary course given, but first booster (due within seven months) has not yet been given. Fine if second injection was less than six months ago. Historical discrepancies (ref: rule 10.2.3). In cases where there are historical discrepancies (e.g. booster was given five days late in 2014), but the primary course is correct and the horse has had the most recent booster within the last six months, it will be at the discretion of the Vet and BE Steward as to whether the horse may compete. 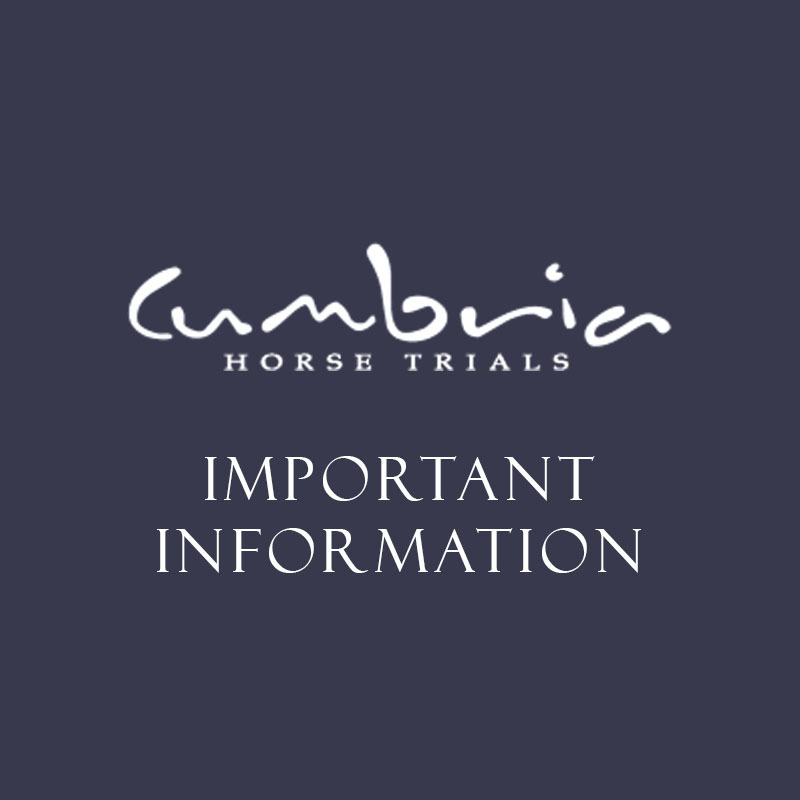 Where a venue has enhanced the conditions of vaccinations above those required under rule 10.2 of the BE Rules and Members’ Handbook, any horse competing at a BE fixture will need to abide by the vaccination requirements of that venue. British Eventing is in the process of gathering information from individual events and will release this as soon as possible. This information will be kept as up to date as possible, but competitors should also check communications from the venue directly as they are subject to change. British Eventing also requires that horses are not travelled if they are showing any signs of being unwell, and to seek immediate advice from a veterinary surgeon. The British Equestrian Federation (BEF) notes the latest update (14.02.19) from the Animal Health Trust of more positive tests for equine flu in Worcestershire, central Scotland, Buckinghamshire and Hertfordshire. For the latest information follow @equiflunet on Twitter. The BEF is urging all competition and training event organisers to check the equine ID passports of all horses attending their event to ensure that they comply with vaccination rules. We remind all participants to check the requirements of venues before they set out. The BEF continues to urge all owners to be vigilant for the symptoms of equine flu and to alert their vet if they think their horses are showing signs. All owners MUST ensure their vaccination records are up to date, and if it has been longer than 6 months since the last vaccination, we strongly recommend discussing a booster with their veterinary surgeon. We also remind owners that any contact with recently imported horses represents an increased risk so owners should follow veterinary advice by isolating any recently imported horse for a period of at least 21 days. Although there have been a relatively small number of positive tests from the thousands of samples taken by the AHT, the BEF continues to urge horse owners to be vigilant for symptoms of equine flu and to call their vet if they think their horses are showing signs. Vaccinations are vital in tackling the spread of the disease so all owners must ensure that their vaccination records are up to date, and if it’s been longer than six months since the last vaccination we recommend discussing a booster with their veterinary surgeon. The BEF also notes that the AHT reports that in all three cases, the horses that tested positive were recently imported from Ireland or had had contact with other recently imported horses. Therefore the BEF asks owners to consider that any contact with recently imported horses represents increased risk as there have also been outbreaks of equine flu in other member states including France and Germany. All owners should follow veterinary advice by isolating any recently imported horses for a period of at least 21 days. Further to the announcement by the British Horseracing Authority that horseracing will continue to be suspended until Wednesday February 13th, the British Equestrian Federation can confirm that our veterinary advice remains that it is not necessary to cancel other equine events at this time. However we will continue to monitor the situation closely and will issue further updates once the full extent of this outbreak is known. We again urge all owners to be vigilant and follow the guidelines set out in our previous statement as a precaution. We recommend owners seek veterinary advice if necessary and ensure that all vaccinations are up to date.